Welcome! 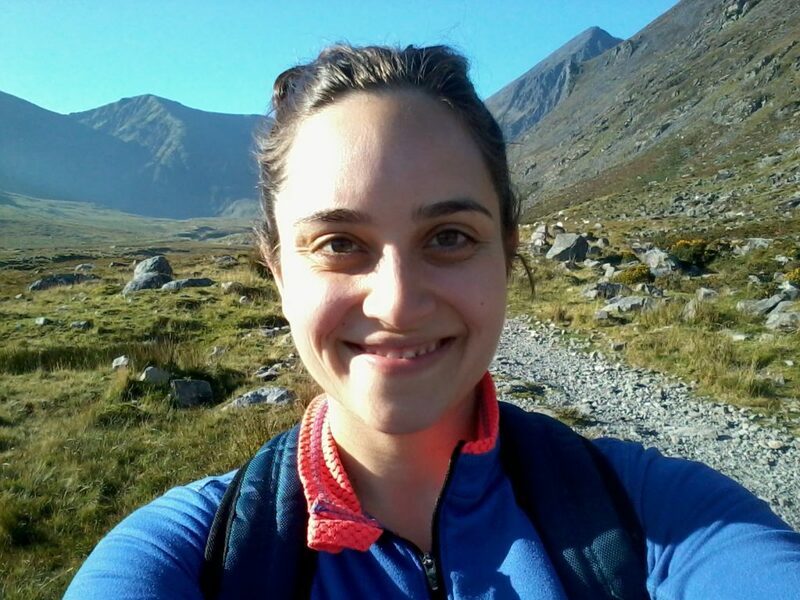 Yoga Killarney offers beginner-friendly, drop-in yoga classes in Killarney, Co. Kerry. Yoga Killarney aims to make classes accessible to all who want to give yoga a try or want to continue their practice. Every week, throughout the year, we offer a variety of classes on a drop-in basis in order to accommodate different schedules, abilities and budgets. We teach a hybrid of yoga postures and joint mobility/strengthening movements, breathing exercises, deep relaxation, and seated meditation. The goal of our classes is to cultivate ease in the body and breath, in order to calm the mind. To achieve this state of calm, we integrate elements of Hatha Yoga, the practice of physical yoga postures and breathing exercises to prime the body for meditation. While our classes are inspired by Hatha Yoga traditions, it would be false and disrespectful to say that what we teach is ‘yoga’ in its entirety. We barely skim the surface! 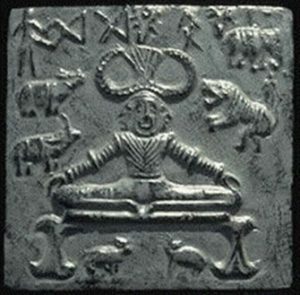 The origins of yoga as a spiritual discipline are often debated because it was a practice passed down orally through generations, but scholars generally agree that The Vedas, some of the earliest written collections to detail this oral tradition and to mention yoga, were composed in India between 1500 and 700 BCE. The Vedas are 4 collections of scripture that form the basis of Hinduism. Within the Hindu religion are 6 schools of philosophy, one of which is Yoga. Under the umbrella of Yoga are many paths to enlightenment, some of which overlap. The most well known paths are: Bhakti Yoga (devotion), Jnana Yoga (knowledge), Karma Yoga (selfless action), Raja Yoga (meditation), Tantra Yoga (rituals) and Hatha Yoga (exertion). Hatha Yoga is the path most often associated with yoga in the West because it is more physical. This yoga of exertion traditionally included a physical practice of mostly seated postures, breath control, and body-cleansing rituals, as well as moderate diet and meditation. Hindus, Buddhists and Jains followed these various paths for centuries after the Vedas were composed. From 1858-1947, however, India was ruled by the British Raj, and the practice of yoga was largely forbidden. During this time, many yoga lineages were lost and yoga was practiced in secrecy or under the guise of physical exercise. Nevertheless, it was during this same era that yoga was first introduced to the West when a Hindu monk named Swami Vivekananda gave a lecture about Hinduism at the Parliament of the World’s Religions in Chicago in 1893. For Westerners, this lecture sparked an interest in the practice of yoga which continued into the 20th century, as gurus from India — BKS Iyengar, K. Pattabhi Jois, T. K. V. Desikachar, and others — brought their yoga teachings to the West. The physical practice of yoga, in which these teachers were trained, melded traditional postures with postures that were heavily influenced by European gymnastics and bodybuilding. Somewhat surprisingly, therefore, many of the postures practiced in yoga classes today are less than 100 years old. The practices of meditation, devotion, knowledge, service, and ritual, however, are all still very much tied to the same traditions cultivated in the distant past. Hanne Winther guides the classes at Yoga Killarney. Hanne (pronounced HA-na) has practiced yoga since 1999 when she took her first Iyengar yoga class as a young, anxious teenager. She can still remember how clear-headed and peaceful she felt walking out of her first class. Along the way, her yoga practice also helped balance out a rigorous schedule of training for swimming competitions and triathlons, it helped her through two pregnancies and endless toddler tantrums, and in general has given her incredible tools for navigating life. Hanne has practiced yoga with instructors across North America in Washington DC, Montreal, San Francisco, Portland, and Vancouver. She continued her practice when she moved to Kerry in 2010. Four years later, Yoga Killarney was born. Her hope is, that through the practice of yoga, she can guide her students to feel better in their bodies and minds. Hanne is a registered and insured yoga instructor with Yoga Alliance UK. She received her initial training from The Lotus Seed in Portland, Oregon. Her mentor, Wren Doggett, is a pioneer of non-profit and outreach yoga in the US. Since completing her training, Hanne has developed a keen interest in kinesiology and current research into chronic pain. Her interests have led her to study with and learn from like-minded movement professionals and scientists, such as, physiotherapist Sarah Court, biomechanists Jules Mitchell and Katie Bowman, pain scientist Lorimer Moseley, chiropractors Garrett Neill and Andreo Spina, yoga therapist Gary Kraftsow, kinesiologist and strength coach Eric Cressey, Feldenkrais practitioner Todd Hargrove, and yoga teachers Cecily Milne, Kathryn Bruni-Young and Dana Santas, who are helping to bridge the gap between science and yoga.